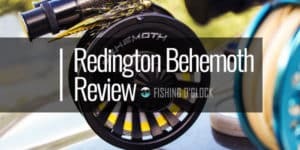 Whether you’re planning your first fly fishing trip or you’re able to enjoy the sport at any time, bringing the right equipment will determine the success of it all. Reels range in pricing, with the higher priced reels promising the strongest drag system and longevity. The type of reel depends on the type of fly fishing trip. The Piscifun Sword Fly Fishing Reel allows flexibility in being great for the smaller fish to even the hard running fish. Anglers, either novice or a pro, should go with a company that has continuously produced affordable fishing gear. Time is spent into each product so its measurements and all aspects are checked for the highest quality. Piscifun understands that their products are in the hands of fishermen worldwide so they have direct feedback from the pros on everything they offer. For reels, the Sword Fly Fishing Reel can be a choice that stays with you for seasons to come due to its resistant design, functionality, and durability. 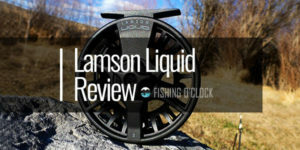 The options are abundant however there are certain aspects of this particular reel that are shared here to make your purchase a little less stressful. 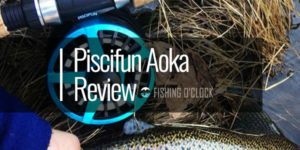 When setting up the reel, the Piscifun gives an initial sleek look with its several color selections, which is a nice customizable option. From the looks, this can compete with the higher priced brands aesthetically, but how does this perform? To start, the CNC machined 6061-T6 aluminum alloy makes this reel extremely durable and strong allowing the prompt line to pick up. The hollow design provides a lighter feel but don’t be alarmed, it does not take away from the durability. Now, let us get into the small, but the impactful design of this reel. This reel was created with corrosion resistance in mind. Just looking at the hard anodized surface protection shows that it is highly resistant to damage and protected against weather and the corrosion that could happen with continued use in water. The aluminum alloys are readily cold-forged to precision with the goal of being a strong, rigid reel. The large knob makes for an easier grip that you will notice when reeling in those larger catches. With this knob providing an easier grip, you can have better leverage, and for the novice, better control. The quick adjustments that can happen with this easy knob should also be noted. Customer reviews of how appreciated it is to use the knob with ease when it’s clutch for bringing in that large catch. 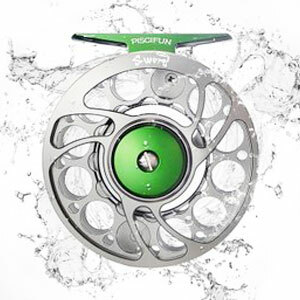 The Piscifun reel offers a combination of the standard arbor and the large arbor. This design works well for most anglers. It allows you to reel in much faster and still hold to being a lightweight, easy to handle reel. The mid-arbor design does reduce line memory so you will not lose the quick running catch either. And it also provides more line capacity with this mid-arbor design. The concave spool provides a stronger line capacity than if it was a level spool. With this reel, keep in mind it is best to try out with the typical size for fly fishing from a wide range of saltwater to freshwater fish. 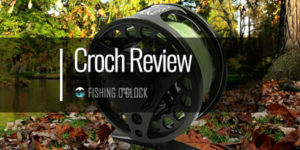 The durability of this reel expands to the silent multi-cork disk retrieve of the stainless steel click drag system. 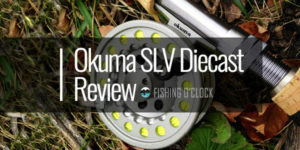 This serves a great purpose by providing a one-way clutch bearing reel and providing a solid retrieve and an accurate click drag. Several anglers have praised the fact that there is no play between the spool and frame on this reel. This will allow you to win against those quicker running catches. Along with the lack of reel play, there is also room for additional backing which helps to keep this reel for seasons without replacement. In the case there is a need to replace your reel; Piscifun offers a three-year warranty for replacement and repair. The retrieve is easily interchangeable. It comes as a left hand retrieve to switching over to a right hand retrieve. Instructions on changing out the retrieve can easily be found through online searches as well as Piscifun’s customer service is more than willing to assist. Read on to find the list of the fresh and saltwater fly reels perform at the highest standards. There may be some complaints about the drag system being sealed. This means that additional caution should be used to not clog the drag with sand and debris. To counter that issue, the reel does have the anodized finish to offer additional protection. 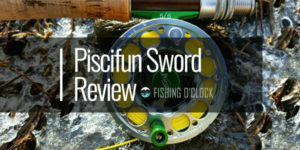 Based off several customer reviews, their customer service offered by Piscifun has been noted as very responsive. They’re helpful in ensuring you receive the best use of their products. With the Piscifun Sword Fly Fishing reel, the ultimate seal of protection, endurance, and agility is provided for the everyday fisherman. The anodized, hard alloy is durable and made with the idea of landing the perfect catch of the day. From the design to the easy, straightforward use; this reel can last through several seasons of fly fishing.